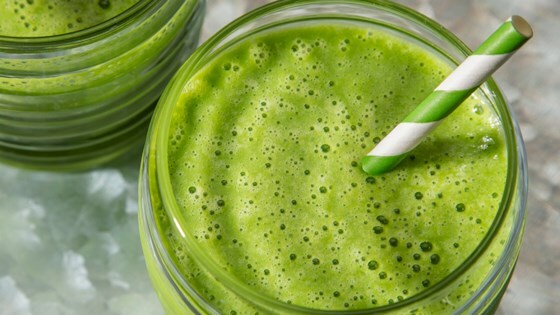 "This quick green smoothie provides what you need for a fruity, veggie snack--with spinach, banana, pineapple, and almondmilk." Yes I put 1 Tbsp of organic flaxseed in it. It taste wonderful and so good for me.